GTX 980 working on cMP using latest Web Drivers !!! netkas.org forum > General Category > OSX and Graphics Cards > GTX 980 working on cMP using latest Web Drivers !!! I am out of town on some unfortunate family business but my assistant was able to test out a GTX980 and found it works in latest Yose Build with new Web Drivers. Re: GTX 980 working on cMP using latest Web Drivers !!! I have near the same result with a Nehalen 2*2.66 with a GTX680 2GB. If it works, it's a good news but it should be near twice the speed of a GTX 680 to be really interesting. Because of low power usage and lower operating temps these things are easier to OC. factory clocks of 1367. Hobbists though easily going over 1400 without water. I'm not suer if the SC evga is unlocked or not. I may buy whatever one is and play with clock. stock clock barely beats a TI and of course a SC TI wins in a lot of areas. however a superclocked 980 should trump all. These will also be great options for mac pros cause they should easily run on stock power with two 6 pin cables. My MVC Modified Gigabyte 3GB GTX780 in PB3, Web Driver. Think I'll keep it! Yeah, numbers aren't impressive yet. I should be back on West coast on Saturday or Sunday. He tried to run Luxmark and it said no go. My guess is that drivers are still immature. I seem to recall first Titan/780 tests were similarly disappointing. Aside from which, I don't think 980 is the Titan Killer. Supposed to be more or less on par with 780Ti but better OpenCl than Kepler. Whether we can do EFI remains to be seen. At very least hopeful I can turn on PCIE 2.0. Just remember that the fact that the drivers are there is the big thing. And the guy I have doing testing isn't old hat at this, he usually does shipping and basic tech support/website stuff. The trip I am on was never meant to last this long, I was supposed to be back in LA already. What was a pleasure trip has turned into something else. It is possible that the GT120 he used for boot card is buggering things up. Small benchmark numbers is kinda ok yet, drivers arent mature yet. e.g. 750ti getting 20% less scores in valley than 650 (not ti). Interesting about 970 at Insanely. Again, I am sending text messages to someone 3 time zones away explaining how to download drivers and test. He is a great guy but not a true enthusiast so perhaps .....I don't know. But for him with the 970 I ordered from afar, the driver doesn't seem to load. It is possible that he inadvertently did a PRAM reset or something. since he can do screenshot it means system didnt kpaniced. That means he has webdriver installed and activated. ah netkas you got that submit reply bug too and triple posted. I had that last night and had to delete my extras. my post wasn't appearing,then all appeared. Another strange thing about Maxwell (GTX 750Ti) As I reported earlier I got "no signal" on GTX750TI-PH-2GD5 but later I tried flashing it with another bios. As a result the card started working on Palit's bios. There is something wrong with those web drivers, they are beta anyway. It's my post. 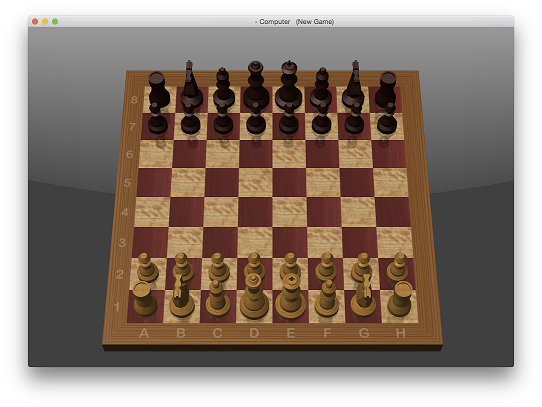 Yeah I have it working but with graphical bugs, QE/CI seems to be working since I can run Chess. My Dell display reports that it's running at 50Hz. I had to boot using nv_disable=1 and then install the Nvidia Web Driver. I'm using MP 5,1 SMBIOS. Re: GTX 980 & GTX 970 nworking on cMP using latest Web Drivers !!! Yes, I can confirm 970 working. My shipping guy did something wrong on test where 970 didn't work. 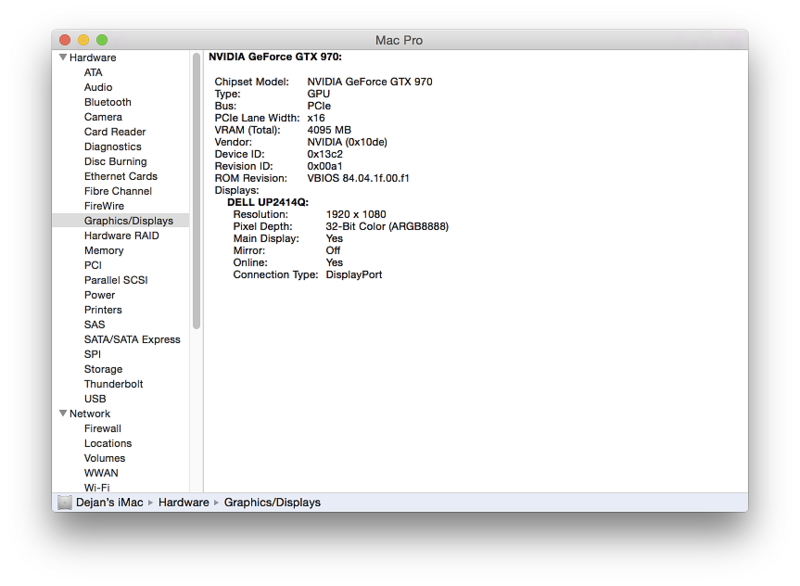 Sorry.. can you explain me pls, how my 980 on Yosemite Beta 4/GM with the last nvidia web drivers beta works? I ask because I tried it and I receive no signal monitor when I restart the OSX after installed the drivers. What machine are you trying it in? Are you definitely supplying all the power it needs? I'd run two cards at the same time, one known good, plus your new 980. Use the known good one to see what's happening with the 980 and post information from System Information here. If there's not enough information, people can't help.